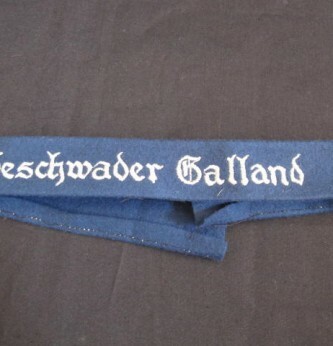 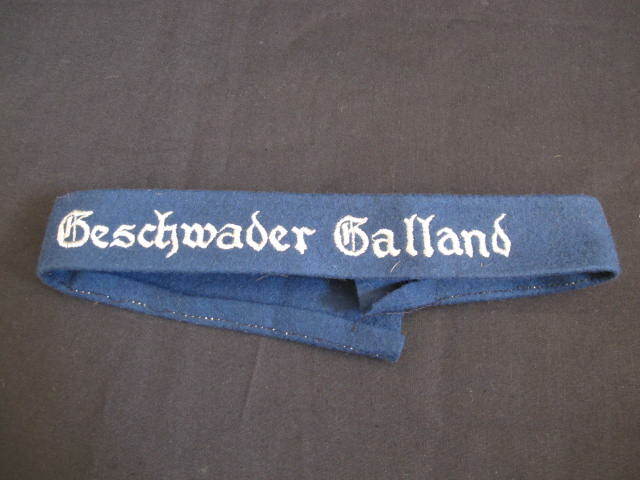 Third Reich Luftwaffe Other Ranks Geschwader Galland full length cuff band. 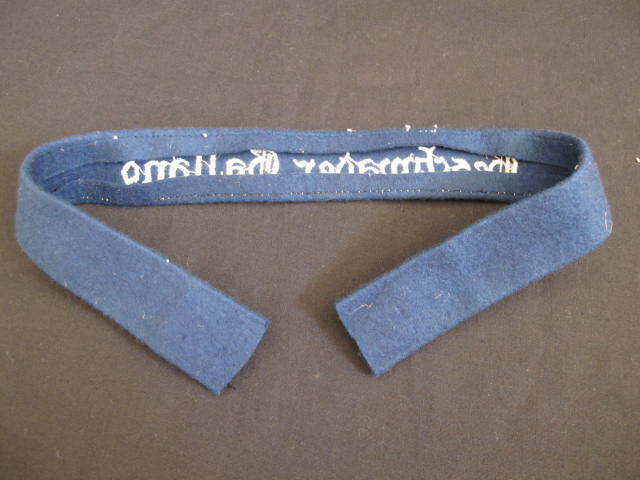 Uniform removed example in nice condition. 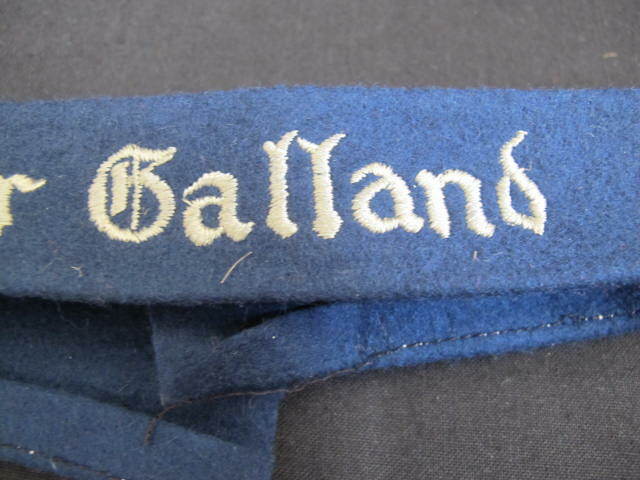 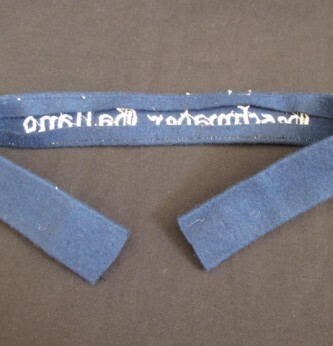 Dark blue band with grey lettering. 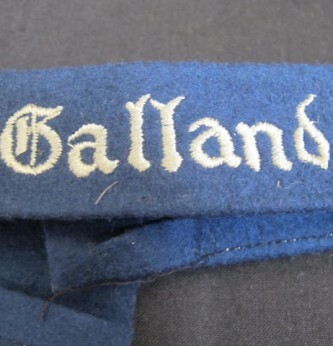 A scarce and hard to find squadron cuff band.